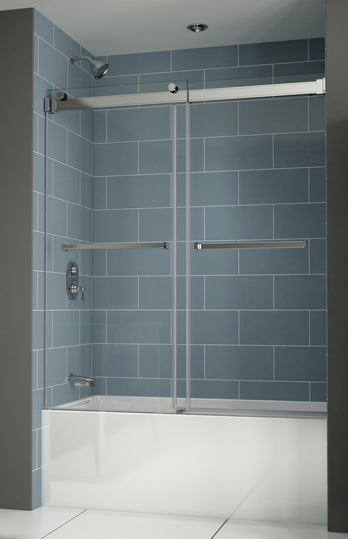 Frameless bypass sliding tub door ,3/8″(10mm) tempered clear Glass,66″ height. If you are renovating, redesigning your bathroom or simply needing a new shower door, let Fleurco Shower Door Kinetik Two sided KS add class and style to your Bathroom. And so, if you are looking for a quality shower door at an affordable price, consider Fleurco Shower Door Kinetik Two sided KS from Bliss Bath & Kitchen.